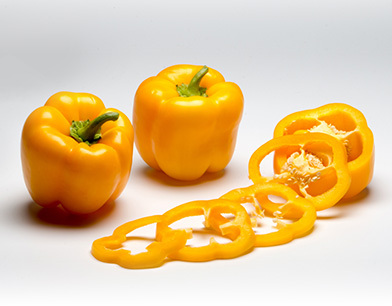 The yellow bell pepper is mild and sweet, composed of three to four thick walled lobes and a partial stem attached. This variety is smooth skinned and uniform in yellow color, with internal ribbing and seeds that are usually discarded before use. 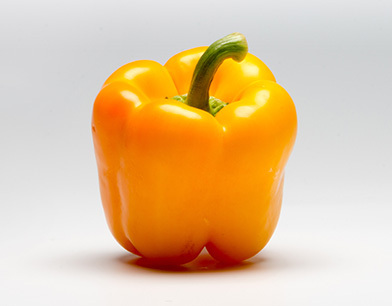 With an all-around crisp / firm texture, bell peppers are low in calories (one medium bell pepper contains about 30 calories), fat-free, sodium-free, and cholesterol-free. They are also considered an excellent source of vitamin C.